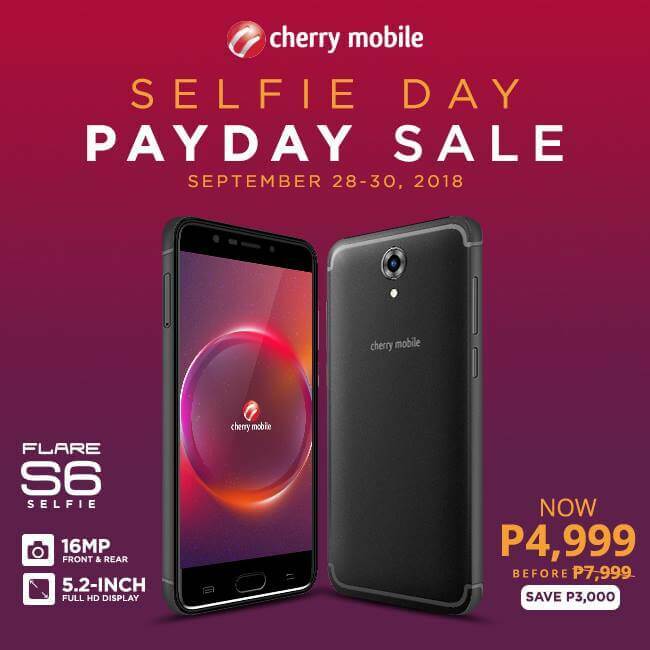 Home Cherry Mobile News Promos Cherry Mobile Announces Selfie Day Payday Sale! Cherry Mobile Announces Selfie Day Payday Sale! 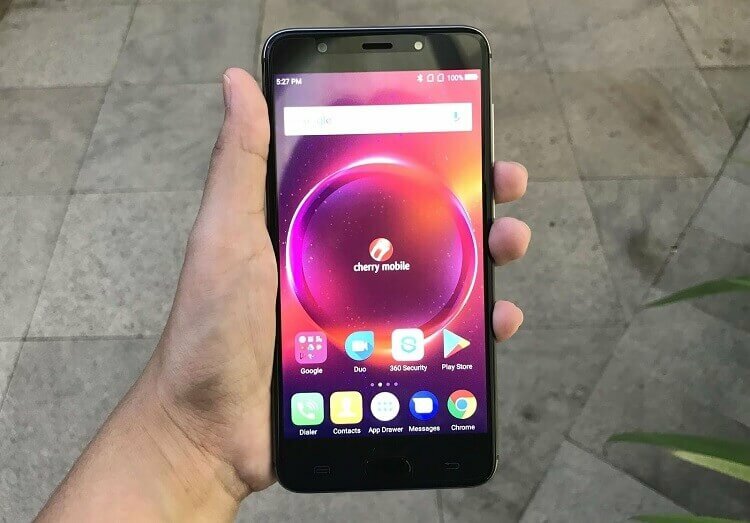 Cherry Mobile is set to treat consumers through its Selfie Day Payday Sale promo, wherein its Flare S6 Selfie smartphone will drop its price on September 28 to 30. From its original asking price of Php7,999, consumers can score the Cherry Mobile Flare S6 Selfie for only Php4,999 during the said promo. As a recap, the device is tapped as the company’s selfie-centric handset that brings decent offerings for its price. It sports a 5.2-inch IPS panel with Full HD 1920 x 1080 display. Under the hood, it is powered by 64-bit MT6750T octa-core processor paired with ARM Mali-T860MP2 graphics. The phone is also coupled with 3GB of RAM and 16GB of internal storage, which is expandable up to 128GB via MicroSD. The Flare S6 Selfie boasts a 16-megapixel f/2.0 main camera, another 16-megapixel f/2.0 selfie snapper, and 2600mAh battery. Sounds like a deal? You can check our Cherry Mobile Flare S6 Selfie Review to learn more!